When Are You Coming To Llanelli Beach Bootcamp? “Are you coming to bootcamp” is a question I’d been asked a number of times, especially by my wife Jude, who was a regular. My answer was always the same – “no chance”. 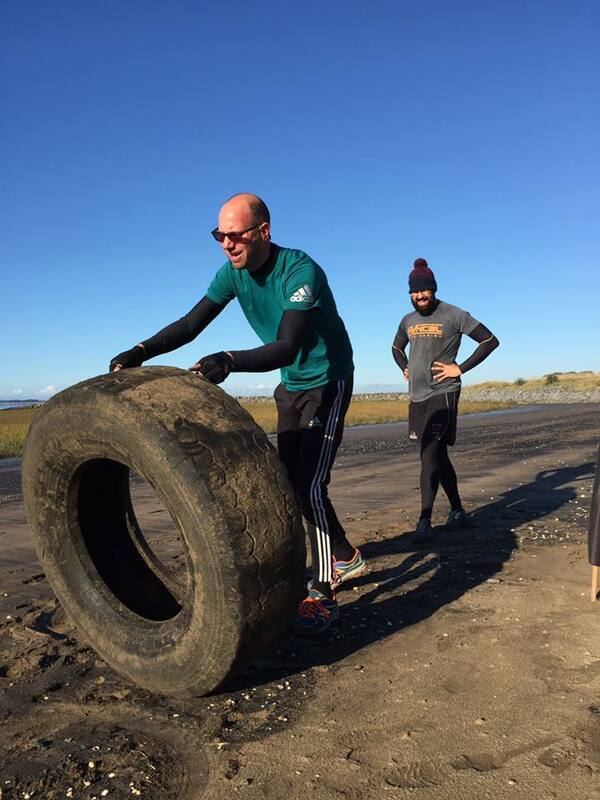 I was more than happy to take photographs of Llanelli Beach Bootcamp at events like Mud Run or Invcbl, but lifting rocks, tyres and sandbags in all sorts of weather just didn’t appeal. I didn’t like doing gym stuff and also didn’t fancy someone shouting at me whilst exercising. Besides I felt reasonably fit and never put on weight beyond 12.5 stone despite a diet that included plenty of cake and chocolate. In November 2014 I dislocated my right shoulder just by reaching for the remote control whilst lying in bed. In retrospect that should have been a signal that something was wrong as the muscles around my shoulders were pretty weak. Towards the end of 2015 I was feeling really fatigued, seemed to be losing weight but also getting a larger waist line. A pain in my right side prompted a trip to the doctors in the December of 2015. That then led to a blood test and within 24 hours a phone call saying “get to the doctors now”. Five hours after that call I was being wheeled down to theatre where my appendix would probably be removed. As is my appendix remained where it was. Instead I woke from a slightly longer operation to see a very pale looking Jude and a concerned looking surgeon. The surgeon explained that part of my bowel had been removed during the operation and that it could be cancer. Fortunately the all clear came on Christmas Eve, but I was diagnosed with Crohn’s Disease, an auto-immune condition which causes inflammation and problems with the digestive system. I left hospital weighing 11 stone. My New Year’s resolution was quite simple: to put on weight whilst making sure I get healthier and fitter. If I was to face more health problems then I wanted to be in the best condition to take them on. And so after years of saying “no chance” I found myself doing my first Personal Training session with Becky. Despite struggling to lift more than 2kgs or do anything that slightly resembled press-ups, sit-ups, burpees and squats I survived, and went back again and again. Slowly but surely things improved and in June I finally joined everyone else down on the sand at Beach Bootcamp. 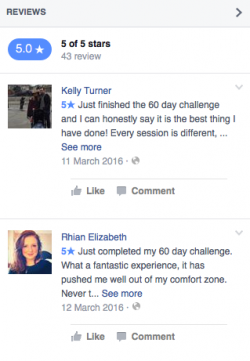 The first session was a bit scary – you do wonder whether you can do it or keep up. However, everyone was – and still is – welcoming and encouraging. The community spirit amongst the group is just brilliant. To be honest I can’t say whether I really enjoyed those first few months of training, but it wasn’t long before I was doing the Friday and Sunday sessions, sprints and PT with Becky. I even signed up for a 60 Day Challenge just to see how my fitness improved. And so it did.. 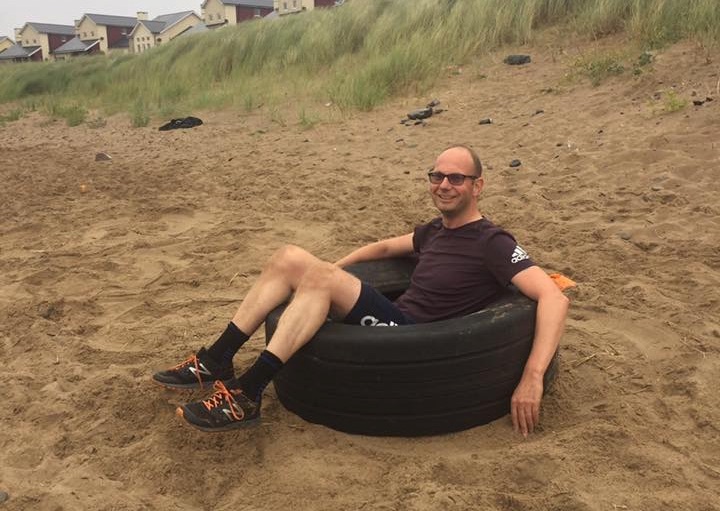 I remember one Sunday tyre session where we had to move a tyre up and down the beach. 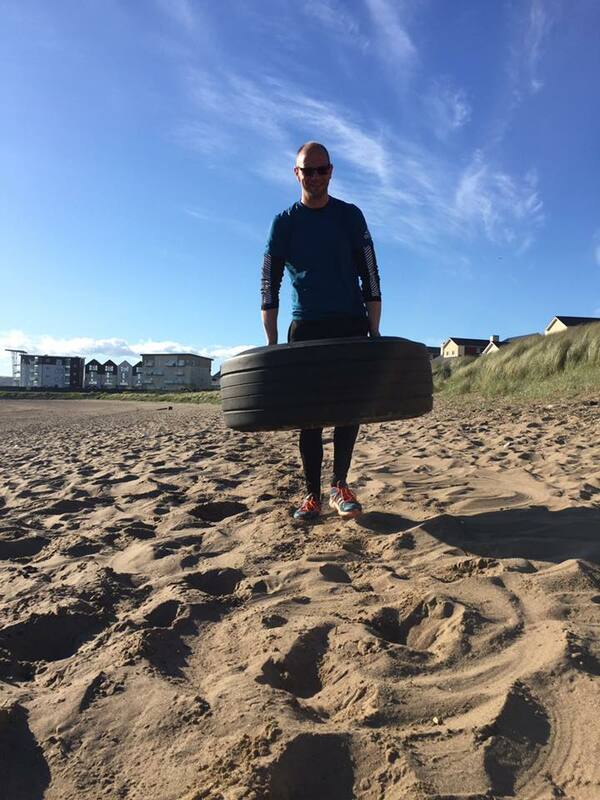 Lee was encouraging me to deadlift it – “too heavy” I said – but Lee said I could do it and should try – and so I tried and suddenly there I was walking along the beach carrying a tyre. One small step for a man with a tyre, one giant leap in realising this fitness stuff actually works. It’s now nearly two years since the operation. I now weigh 14 stone, the heaviest I’ve ever been, and my fitness is probably the best it’s ever been. 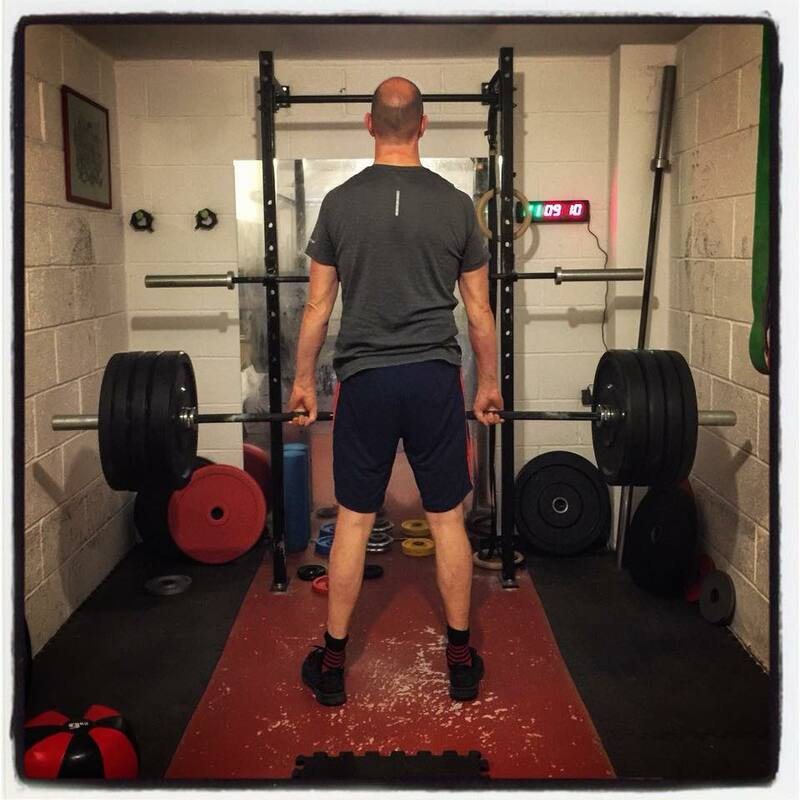 Last week I did my first 100kg deadlift – that was a pretty cool feeling as it’s good to see progress and also reflect on how things have changed in what feels like a short time. Whilst the numbers are a good gauge of improvement, they don’t show the confidence that training also gives you. I feel so much better for doing bootcamp and it’s nice to hear people comment that I look healthier too. I get to train with Jude and that’s good fun (well sometimes). I’m also used to Emma shouting at me when doing burpees – after all I now know this is just to push me to do what I can do. The support of everyone who’s involved with Bootcamp has also been immense. However, I don’t think any of the above would have been possible without Becky’s help. She’s a brilliant trainer, always encouraging and supportive. I’m not sure what she thought we’d be able to achieve during our first PT session but since then she’s managed to convert a gym loathing, rain hating, cold disliking and can’t lift anything guy into someone who looks forward to doing exercise – even when it’s cold, wet and windy. Why not get yourself along to Bootcamp and find out how it can help you.